Gabriella goes to the Urban School of San Francisco (“Urban” for short). It’s a bit different from most high schools in the area, but since most high schools are different from British schools, it’s worth considering the American norm before deviating from it. In America, the school year is divided into two terms (semesters); the first runs from the end of the summer until Christmas, and the second runs from the New Year until June. The Winter break (it’s not a Christmas break because this country doesn’t celebrate religious holidays) is two weeks long and there’s no such thing as half-term; instead, during the first semester, the children have a few days off over Thanksgiving (Wednesday to Friday, typically, though both Gabriella and Max had the whole week), and the enormously long second semester is broken by “Ski Week” in February/March and Spring Break in March/April. There’s the odd bank holiday thrown in (Martin Luther King day, in January, for example), but other than that, it’s a long hard slog of a school year. 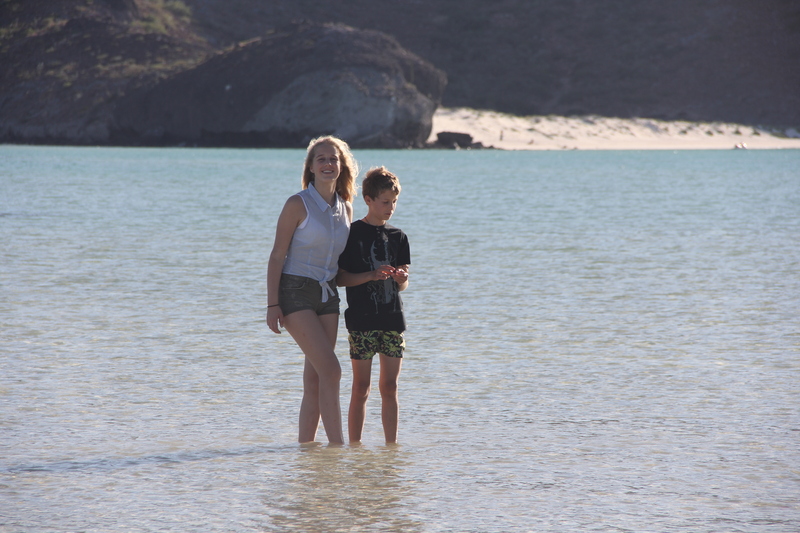 In Baja, at Thanksgiving, Gabriella had finished a school term, but Max was still knee-deep in schoolwork. Max’s school year follows this normal pattern, but Gabriella’s doesn’t. The Urban school year consists of three trimesters, each exactly 12 weeks long (and that exactness is important for lesson structure). The first starts at the end of August and finishes just before Thanksgiving, at the end of November. After a week off, the second trimester starts at the beginning of December and goes through to the beginning of March; the two-week Winter break is the equivalent of a long half-term – a pause in the belly of the term. The third trimester starts after a week’s break in mid-March and goes through to the middle of June, with Spring Break providing some entertainment in April. For our family, this means that while Max is approaching the end of his term, Gabriella has just started a new one. Weird.